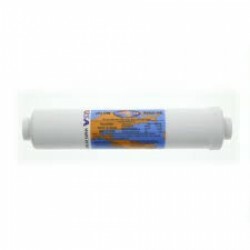 We stock a full range of Premium USA Omnipure Replacement CL Series Inline 6 Inch, 8 Inch and 10 Inch Water Filters. Though the basic configuration of the CL-Series hasn’t changed in over 30 years, it incorporates the design innovations that have made OMNIPURE the leader in the inline filtration industry. Customers have come to rely upon this simple but dependable inline filter for a variety of used including ice machines, water coolers, drinking fountains, as was as under-the-sink applications and as components in reverse osmosis systems. You will find a use for this filter in virtually any situation where better tasting water is important. Superior engineering and production techniques are the keys to the success of the CL-Series. For instance, each filter utilized a unique spring disc that keeps media under ideal pressure, eliminating channeling and ensuring an equal distance linear path. Furthermore, no glues or binders that may cause contamination are used in the manufacturing process. Instead, components are friction-welded together, producing a reliable, no-leak seal. And finally, all threaded connections are precision cut by machine with results in the more accurate and repeatable thread possible. The CL-Series - a tried and true product that remains a vital part of our business and one of the main reasons why OMNIPURE filters are considered the finest disposable inline water filter ever manufactured.